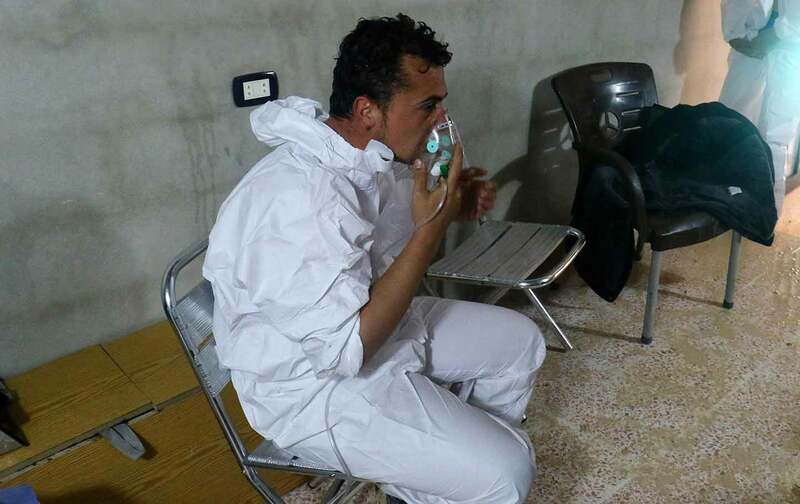 When I saw footage of the alleged sarin-gas attack in Syria, I felt ill. The whole episode, which killed up to 100 civilians in Syria’s Idlib province, was ghastly. But worst of all was the kids—glassy-eyed, discolored, and limp as their little bodies were carried away. An informed change of perspective is a good thing—but only if it’s informed. Though it might’ve felt good to see the Syrian regime pay a price for its crimes, there’s no way a strike like this can ease civilian suffering. Even if that war succeeded in ousting the regime, the country would only plunge deeper into chaos—just as Iraq and Libya did after we ran their similarly horrible governments out. Islamist extremists would be well positioned to fill the void in Syria, too: Al Qaeda–linked forces currently hold Idlib, while ISIS controls much of the east. Either way, it’s innocent people who pay the price. Just ask the families of the 1,700 civilians reportedly killed by US-led air strikes in Iraq and Syria last month alone. Many of those were children, too. Air strikes, in short, are a recipe for humanitarian catastrophe. But that doesn’t mean there’s nothing the United States can do to help suffering Syrians. It’s just going to require another big flip-flop. For starters, Trump should give up on his “Muslim ban.” Both versions of that order, now held up in the courts, would have indefinitely banned all migration from Syria—and suspended refugee resettlement from everywhere. Getting more deeply involved in Syria’s war is a grievous mistake. The silver lining is that it proves Trump can change his mind. Now that he cares about the fate of Syrian children, I hope he’ll open up our country—not bomb theirs.